Easy smoothie recipe I made this morning packed with superfoods to balance out the Halloween weekend! 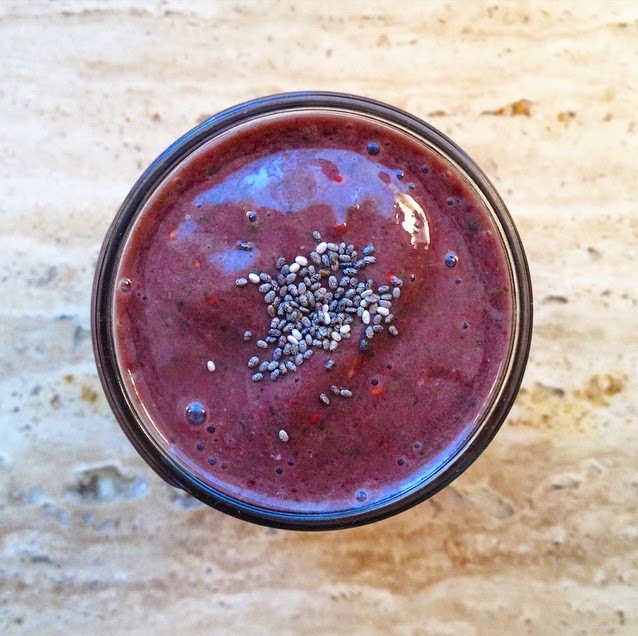 I love to try a new smoothie first thing in the morning or for a midday snack. They're so quick to made and even better when you're on the go. Blend it all together with half the chia seeds and add the rest on top. This is a rough estimate of a small serving I made to accompany 2 eggs I had for breakfast. You can easily double the recipe and/or add a more filling ingredient (such as a banana) to make it a meal replacement. Let me know what you think and hope you had a great Halloween weekend!